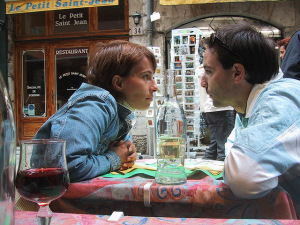 Having a romantic relationship with someone with Asperger’s Syndrome can be engaging and rewarding, but it can also be very challenging, especially as the major life changes that often accompany relationships (marriage, home ownership, parenting) shake up the routine of the person with Asperger’s Syndrome and introduce stress and complex dynamics that he or she may be ill-equipped to deal with. In order to get the best out of your partner with Asperger’s Syndrome, it’s important to keep the following points in mind; remember, however, that all people with Asperger’s Syndrome are different, and thus, so are all marriages with Aspergers partner—Some points may therefore apply more than others. The most fundamental thing to remember is that, like any other marriage, a marriage where Asperger’s Syndrome is present will only work if both partners share a willingness to communicate and understand each other’s needs. Be as clear and concise as possible; rely on logic and reasoning to reach your partner, not emotion. Be consistent; mean what you say. Be upfront with what you expect and need; “hinting” and other more subtle methods will not have any positive effect on your partner. It’s demanding and stress levels are raised by increased responsibility. 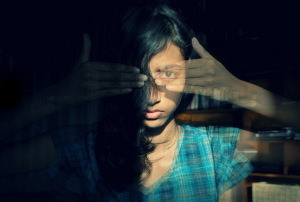 Asperger’s Syndrome traits are often aggravated and made more prominent by stress. Most children are sponges for new information, learning rapidly about everything around them and incorporating it into their lives, often through imaginative play. For many children, social situations are no exception to this rule; they can move through peer situations easily, changing their behaviours to fit the changing milieux around them. Through experience and observation, they learn to pick up on the many subtle cues and “unspoken rules” that govern social interaction. For a child with Asperger’s syndrome, the social world is very different place; their brains do not register this vital interpersonal information easily, particularly the more subtle forms of it, such as body language and tone of voice. Many children with Asperger’s syndrome either misread this kind of information or miss it altogether. For this reason, many children with Asperger’s syndrome appear socially awkward, and they may not behave in ways others feel are appropriate. Teaching social skills to children with Asperger’s syndrome is absolutely essential and it will help them develop proper behaviour in social situations. 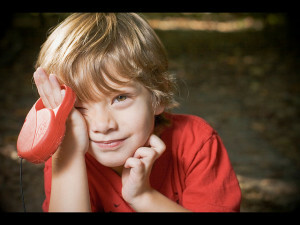 Visual spatial processing: Children with Asperger’s syndrome need things explained to them verbally, as they don’t process visual information around them easily. They will not generally observe the behaviour of their peers and mimic it, which slows social learning. Holistic processing: Children with Asperger’s syndrome are not “big picture” thinkers; they tend to instead hyper-focus on small details. Therefore, they often cannot read situations as whole entities, finding themselves unable to make the needed connections. Children with Asperger’s syndrome may also struggle to properly apply their past experiences to new situations, and will overly generalize situations to simplify them into something they can understand. It is also hard for children with Asperger’s to properly sense intent, leaving them both naive and prone to being inappropriately defensive. Abstract reasoning and problem solving: When issues arise, especially socially, children with Asperger’s syndrome often cannot think abstractly enough to solve the problems at hand (or it would take them much longer than they are likely to be allowed). They have a hard time assessing what their choices are, and selecting a specific choice that represents the best course of action. In their frustration, they can become overwhelmed and emotional.